Numerous guests became ill after attending two catered events at a winery in Florence, Arizona, this March, according to a recent article from Phoenix New Times. The newspaper wrote that the illnesses were thought to be from Salmonella poisoning and had been tied to a wedding and another event held at The Windmill Winery in Florence. In a written statement, the Pinal County Public Health Services District (PCPHSD) said: The PCPHSD was alerted to the outbreak after they received a call from a participant of the wedding who reported that several attendees were sick and at least 4 were hospitalized. The health department also noted that when it received the call, it began investigating food practices at the Windmill Winery and learned that the facility had used a non-permitted caterer. The Phoenix New Times elaborated on the departments statement by reporting that 38 suspected cases of Salmonella poisoning had been tied to the events at the winery. 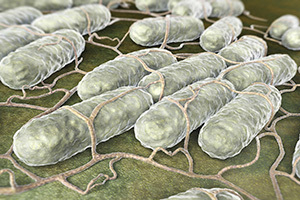 The Centers for Disease Control and Prevention (CDC), a government health agency, estimates that about 1.2 million people are sickened by Salmonella in the U.S. each year. Most people infected with Salmonella develop diarrhea, fever, and abdominal cramps between 12 and 72 hours after infection, the CDC says online, adding that the illness can last up to seven days and can spread from the intestines to other parts of the body. Were You a Victim of Food Poisoning? Get help from an Arizona food poisoning lawyer. Get help from the Phillips Law Group. We have the necessary experience to find out who was responsible for making you ill.
Theres no reason that you should be a victim. Act now to pursue justice. Contact a Phoenix personal injury attorney from the Phillips Law Group for a FREE evaluation. Call or text 1-800-706-3000. Or fill out our FREE case review form.